It's almost time to spend your whole work day trash-talking your co-workers about how much better you're doing at guessing who will win college basketball games. NCAA tournament play starts this week. 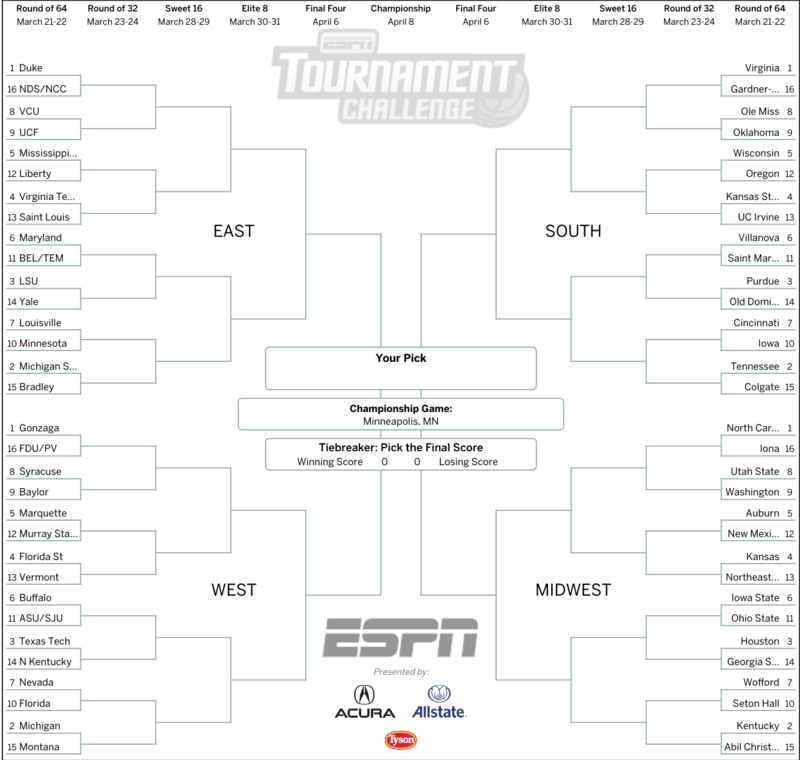 If you're like many March Madness fans, you tweak your bracket over and over until you get it just right. Click/tap to enlarge to a printable version. The official ESPN Tournament Challenge, which comes with the chance to win over $20,000 in prizes, kicks off this week. Watch the video above for some tips and tricks as you fill out your bracket. Entries into the ESPN Tournament Challenge lock on Thursday, March 21. For full details on how to play, visit espn.com/bracket.